Los Angeles, CA – Jack Rutberg Fine Arts in Los Angeles, currently presenting “Francisco Zúñiga: A Centennial Tribute”, a formidable exhibition of works by the major 20th century artist, (b. Costa Rica 1912 – d. Mexico 1998), has announced that this critically cited major exhibition will be extended through September 14, 2013. Celebrating the centennial of Francisco Zúñiga, the exhibition at Jack Rutberg Fine Arts follows museum tribute exhibitions at the Ernst Barlach Stiftung in Gustrow, Germany and the Museo Nacional de Arte (MUNAL) in Mexico City. Further museum exhibitions will soon be announced. This exhibition in Los Angeles presents fifty works spanning the artist’s long career, and includes a recently rediscovered rare stone sculpture from 1932; the period when Zúñiga came to national attention in his native Costa Rica as both a painter and sculptor. In 1936, the artist moved to Mexico, where he resided the rest of his life. Also included in the exhibition are exceedingly rare paintings on canvas from that early period, after which Zúñiga increasingly dedicated himself to sculpture and became known as the most celebrated sculptor of Latin America. 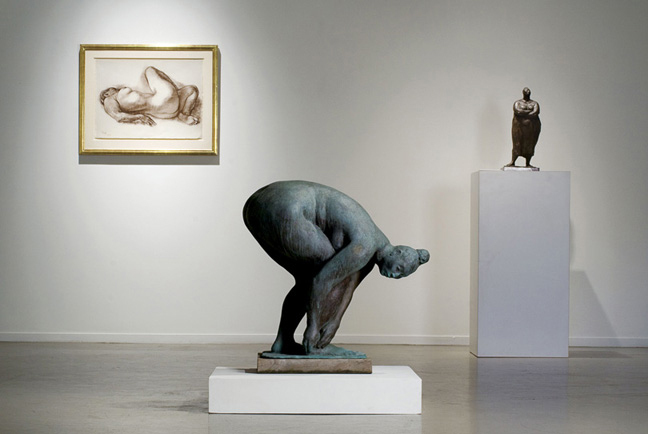 Among the works in the exhibition are bronze sculpture, drawings, watercolors, and selected original graphic works on paper. A consummate draftsman and sculptor, Zúñiga’s works celebrate the female form as an elemental force. 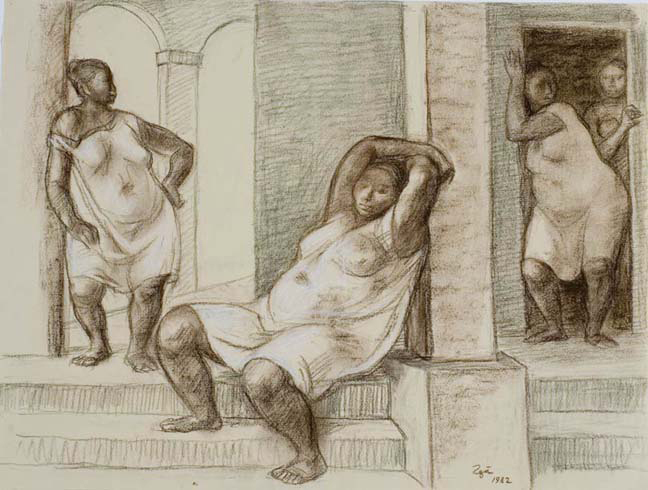 Drawing on pre-Columbian and classical sources, they are often depicted as sensual, but always heroic. 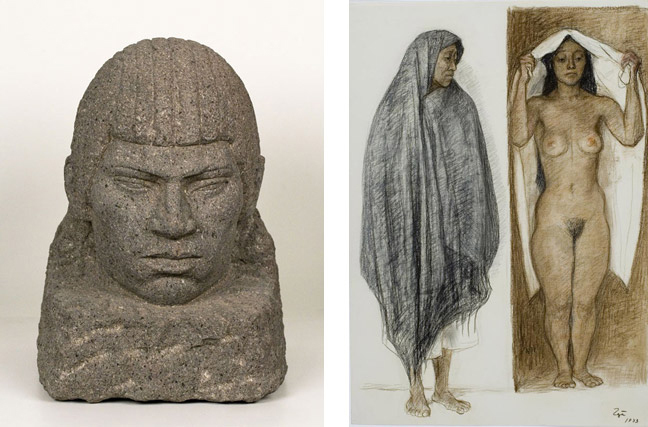 These sculptures and drawings of women – as matriarch or adolescent – have today become powerful and iconic images, widely establishing Francisco Zúñiga as Mexico’s and Costa Rica’s greatest modern sculptor, and according to one recent study, Mexico’s most internationally collected artist. Francisco Zúñiga’s works are in the permanent collections of museums internationally, including the Metropolitan Museum of Art and the Museum of Modern Art in New York, the Hirshhorn Museum of Art and Sculpture Garden, Washington D.C., the Los Angeles County Museum of Art, the Museum of Modern Art, Mexico, the Latin American Museum of Art, Buenos Aires, the Museo de Arte Costarricense, and the Middelheim Sculpture Garden, Antwerp, among many others. 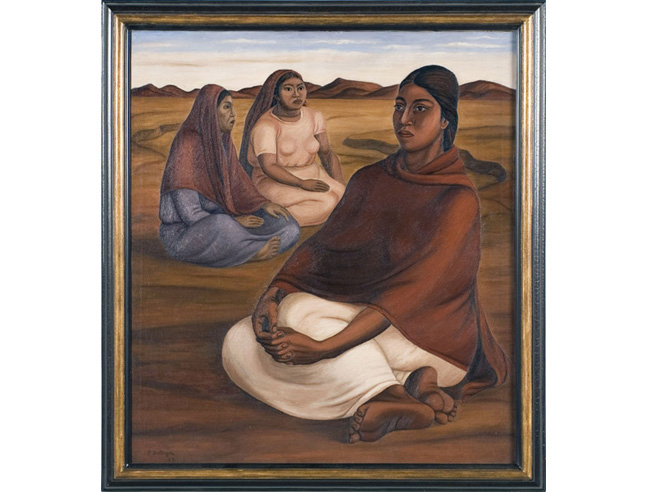 It is notable that Zúñiga’s importance was early realized in California, where his reputation and legions of collectors – both private and institutional – is formidable. In addition to LACMA (which also commissioned an important graphic work in 1976, included in this exhibition), significant sculptures and drawings by Zúñiga are included in important Southern California museums such as the UCLA Sculpture Gardens, University of Southern California, Santa Barbara Museum of Art, Museum of Latin American Art in Long Beach, and the San Diego Museum of Art. An endeavor to document Zúñiga’s entire body of work, is currently underway, as Volume V of Francisco Zúñiga, A Catalogue Raisonne is in development. The Estate of Francisco Zúñiga is represented by Jack Rutberg Fine Arts. Francisco Zúñiga: A Centennial Tribute extends through September 14, 2013 at Jack Ruberg Fine Arts Gallery, located at 357 North La Brea Avenue, in Los Angeles. Gallery hours are Tuesday through Friday 10:00 – 6:00; Saturday 10:00 – 5:00. For additional information, please phone 323-938-5222.